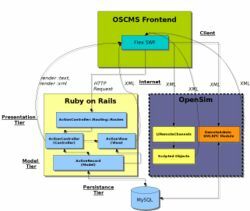 OSCMS is an interactive portal to OpenSimulator. This page was last modified on 5 February 2019, at 14:59. This page has been accessed 16,701 times.